I can't lost my eyes from my laptops to keep on patterning..
this is my new patterns. I made it after coming to White Shoes and Couples Company music concert. 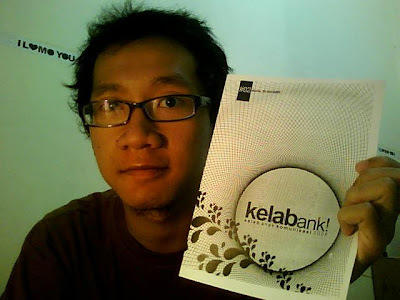 Kelabank is zine for communication department of Universitas Gajah Mada, my college. the first edition got little conflicts with someone. But I don’t mind with this. 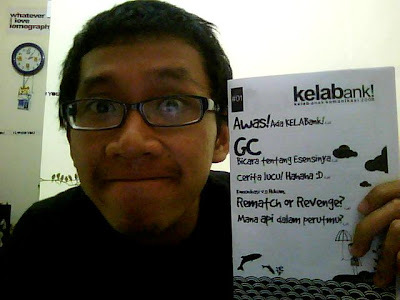 We (Kelabank team) keep our spirit ON FIRE to make this! I only upload someparts of this. if u wanna download, feel free to write comment, and then i'll send you the link. if u have this edition in pdf format, you will face the blank page in page no. 7. 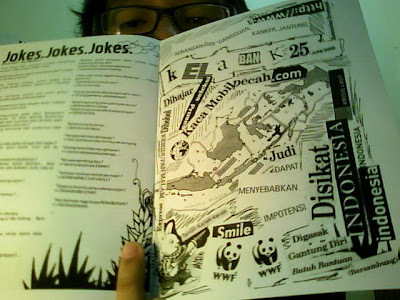 But I attached cutting letter from magazines and newspaper, and glue it! We decided to go to Siung Beach, it locate in south part of Yogyakarta Province. Who joining this? Here they are..
We started the journey at 7 from Yogyakarta. We took 3 hour to reach the destination. How far the location. But you’ll not be disappointed with the beautiful of this place. We arrived in the darkness place. But, we can see the sea of stars above in the sky.. oh my god.. how beautiful it was..the stars were dancing with their low light from here.. so cute.. ^^ we’re laying on the sand and enjoy the beautiful of the night. Thanks God.. I took photograph of it, and write a word “KOM” in this frame with handy flash light. “KOM” , it means we are in communication department of Universitas Gajah Mada. We were camping in the shore, made a logfire, and share funny stories. We slept in the hug of the beautiful night. We woke up at early morning, we met a very very very beatiful beach. Oh god.. thank you so much.. we love you.. we enjoyed all parts of the beach. The sands, the air, water, the coral, beautiful.. very very beautiful..
One more time, thanks God..
juni juni juni.. welcome KELABank! bulan Juni.. selamat datang bulan Juni..
sekarang saya sedang ingin bercerita dengan bahasa Indonesia. setelah mengikuti seminar jurnalistik, dengan Soleh Solihun sebagai pembicaranya, saya merasa sangat berterima kasih sama Mb Icha dan Tika tentunya.. hehehe :D makasih ya..
dan saya berpikiran untuk membuat zine untuk kalangan mahasiswa komunikasi 2008 saja..
secara spontan saja, temen-temen mendukung ide ini..
ya ayoo,,, hajar aja, jek!!! saya berharap semoga responnya bagus. karena sesuatu konflik yang terjadi, maka saya hapus saja source image dari isi kelabank!